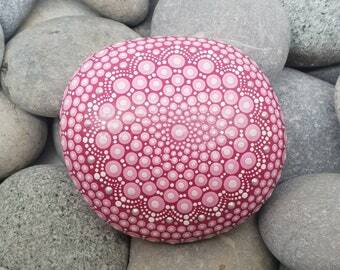 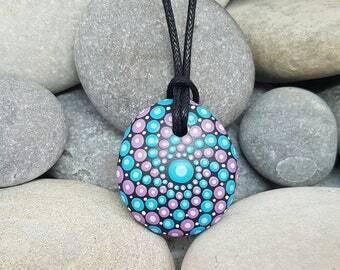 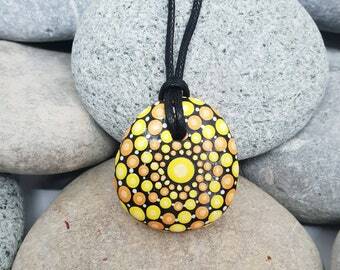 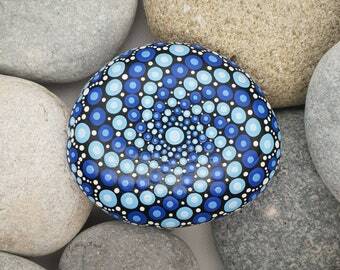 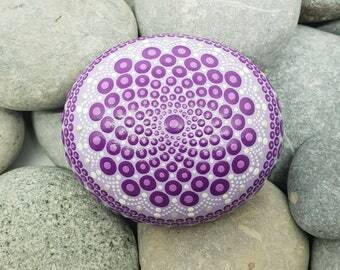 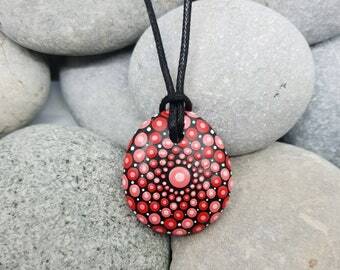 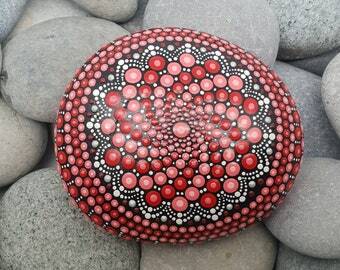 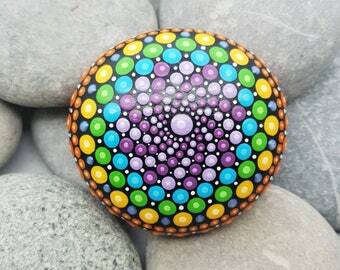 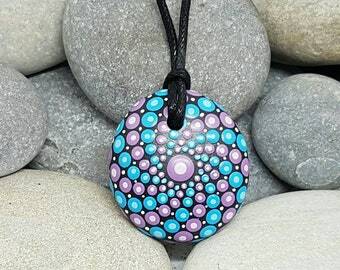 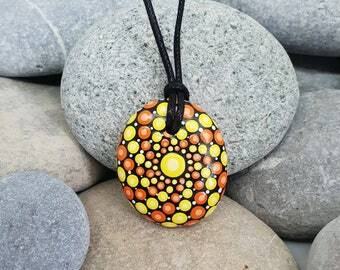 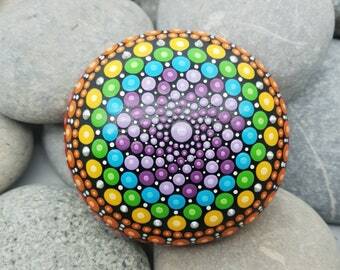 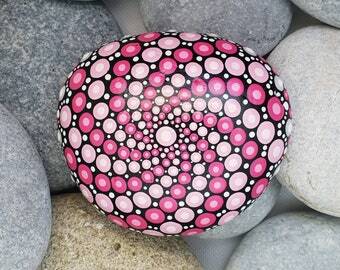 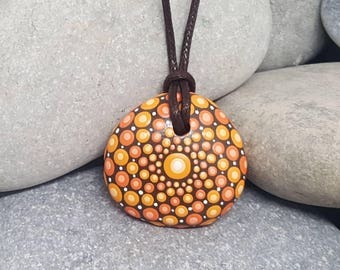 Beautiful hand-painted Mandala Stone. 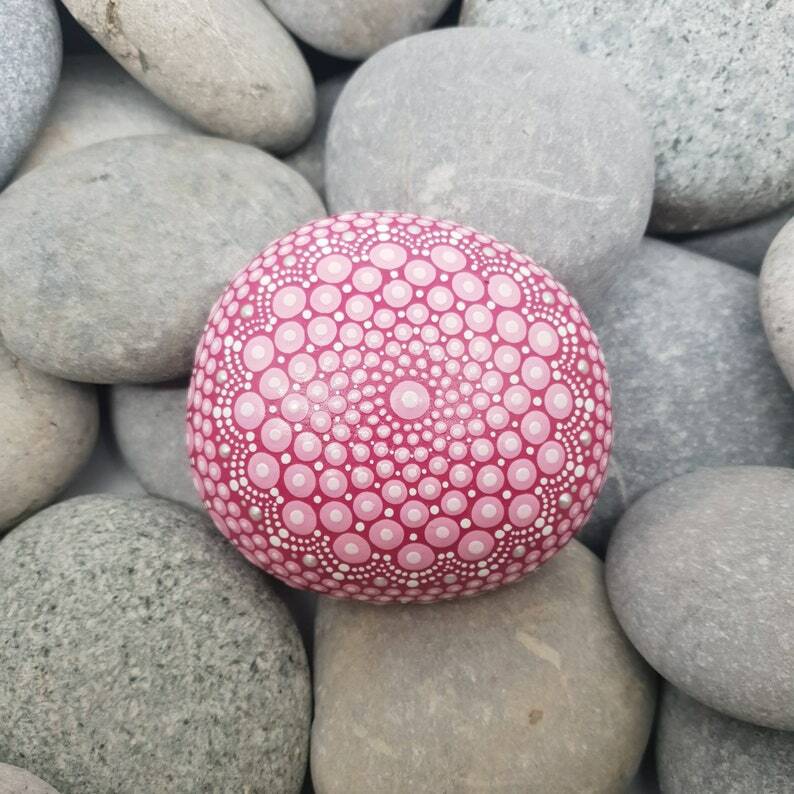 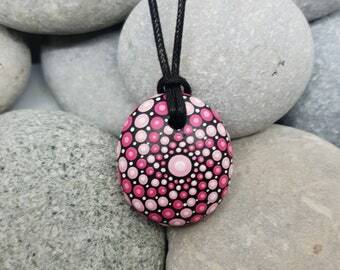 This stone from the French Riviera has been painted in a magenta pink shade, with dotting in pale pink, finished with a lighter shade of pale pink in every dot, with white and pearl coloured detailing. 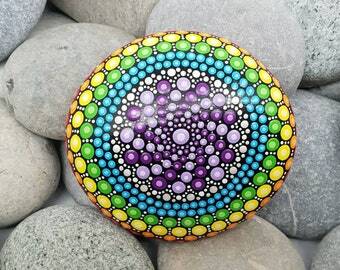 The stone has been coated twice with a clear satin acrylic varnish.